In this latest Ford and Keane Mystery, Seb Ford and Frankie Keane are no strangers to bullying – Seb is wheelchair-bound and Frankie is mixed race, so they have often been subject to taunts and teasing. But they also run an amateur detective agency, so when one of their peers, the beautiful and successful American Tara Adamski becomes the victim of cyber-bullying, they are only too willing to track down the bully. 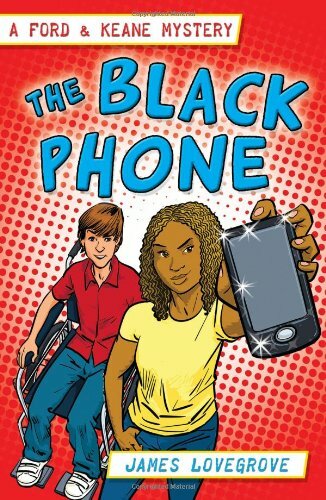 The story deals carefully but realistically with the sensitive issues of race, disability, manipulation and cyber-bullying and shows a clear understanding of gender differences in bullying. Characters are well drawn in a contemporary mode and the dialogue is consistent with a modern tweens idiom. The twist at the end, in which Tara is shown to be the author of the malicious texts, is not only shocking but also creates a platform to discuss snobbery and social status. The introduction of the state versus private school conflict is not helpful as bullies exist in all communities, but that said, this book does deal sensibly with a serious issue. The book is short at just 80 pages and could be read comfortably in one sitting. The length, however, should not deter the 9 – 11 year old audience who would relate most readily to the language and themes of the text. It would be a useful addition to a PSHE reading list.